Excellent for Parent/Child safety at night. 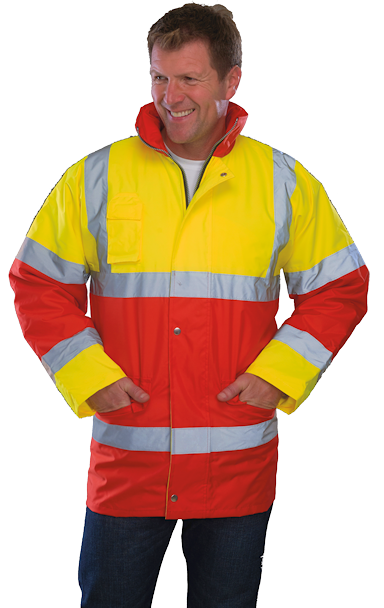 A great choice of vibrant contrast colours waterproof & windproof jackets with the enhanced visibility for safety. Ideal for football ground staff, event organizers, car park wardens, Fire Marshalls and paramedic personnel etc.. Oxford PU coated polyester outer fabric with 190g diamond quilted padding. Walkie Talkie/Mobile phone pocket. Two front pockets & one inside security pocket. Less than £5.00 + decoration. 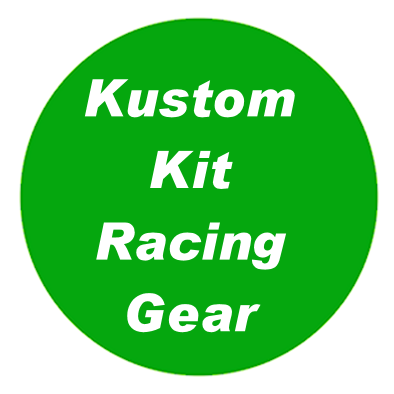 100% Polyester fabric with Velcro® fastening. 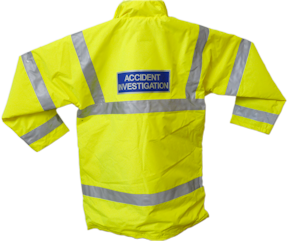 Two 5cm width reflective tapes around the body and one over each shoulder. 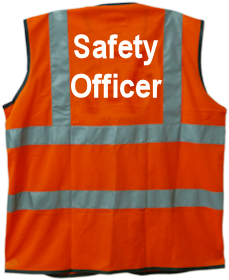 Hi-Vis Yellow, Orange, Yellow/Orange conform to EN ISO20471:2013 Class 2. 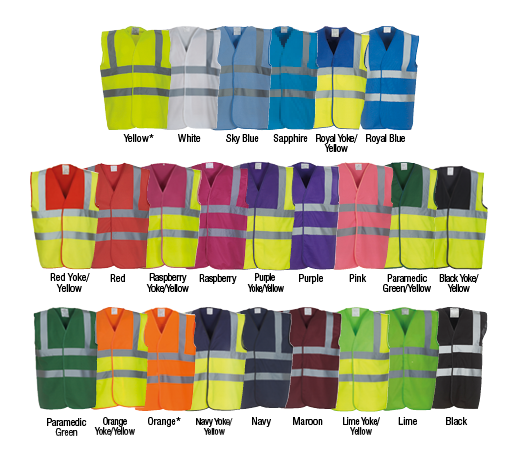 Black, Lime, Navy, Purple, Paramedic Green, Red, Raspberry, Royal Blue Yoke on Hi Viz Yellow conform to EN ISO20471:2013 Class 1. 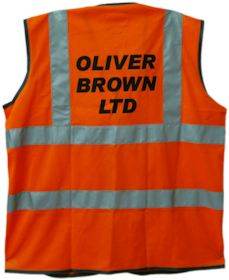 All other colours provide enhanced visibility in all kinds of environments. NEWARK EMBROIDERY is a garment decoration cottage industry. Call Steve or Elaine on 01636 626895 for your personal requirements: No set up charges if a good quality artwork file i.e. jpg or png (for transparent background) is provided.